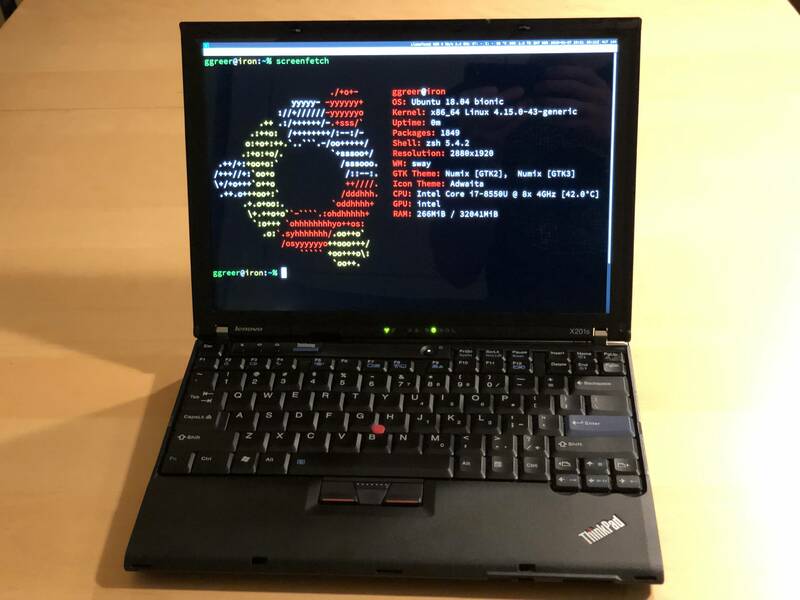 After Lenovo bought out IBM's Thinkpad business, they began to tinker with the classic and famously immutable laptop designs: in small ways at first, and then in much larger ones. I buy a new Thinkpad every year (I promised myself a new laptop every year as a dividend from the savings when I stopped smoking) and the first decade's worth were practically perfect: they ran various GNU/Linux flavors without a hitch, the hard-drives were swappable in two minutes by removing a single screw, and the keyboard could be replaced without any tools in less than a minute. The same forces made drive-swaps harder and harder. I used to order a Thinkpad with the smallest, cheapest drive available and then throw it away on arrival and replace it with a third-party, 1TB SSD. Now I just order the Thinkpads with 1TB SSDs and pay a premium for them (these custom options can add weeks to the build/delivery time, too) -- thankfully, the price-gap on Lenovo's 1TB SSDs and third party drives has narrowed. GNU/Linux installation has gone from easy to hard to virtually impossible in some cases. In the past twelve months, I've tried to install recent (and LTS) versions of Ubuntu on an X1 Carbon 6th Generation and a T530, only to abandon the project and return the laptops (again, to their credit, Lenovo made these returns easy). I've got an X1 Extreme on order, which is certified for use with Ubuntu 18.04 LTS and I've got my fingers crossed. 51NB, a group of Chinese enthusiasts buy up classic, pre-Lenovo Thinkpad chassis and manufacturers new motherboards for them with modern CPUs and other hardware. They started with a run of Thinkpad "X62" system (X61s with a new motherboard) and then branched out into Thinkpad "X210"s -- an X201 with a Core i7 8550u (4 cores, turbo boost up to 4GHz); 2× DDR4 SODIMM slots; 2× mini PCI Express slots; an M.2 NVMe slot; a 3.5” SATA bay; a 12.6 inch, 2880×1920, 450 nits, wide gamut display; Mini DisplayPort & VGA out; 3× USB 3.1 ports; an SD reader and gigabit Ethernet (no dongle required!). Geoff Greer bought both the X62 and the X210 and has rave reviews for both. There are some important drawbacks, though: you can't get Lenovo's best-in-the-world warranty service on your weird Chinese Frankenthinkpad. If it breaks down, you either send it to China or you keep a spare motherboard around and do the swap yourself (you can buy the X210 as a bare board or a complete system). Thankfully, "The laptop can be entirely disassembled with two Philips screwheads (#0 and #1). At no point do you encounter tape, glue, or pentalobe screws." And buying the X210 isn't easy: you have to wire $1200 to a personal bank account in China and then email another address to have those funds forwarded to a QQ account (! ).